The ariel toucan (now classified as Ramphastos vitellinus ariel). 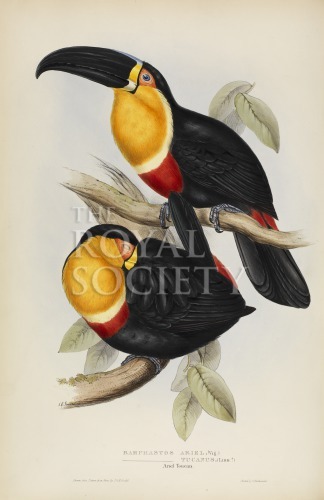 Illustration from A monograph of the Ramphastidae, or family of toucans, by John Gould (London, 1834). Elizabeth Gould (nee Coxen), John Gould’s wife, was trained in the art of lithography by Edward Lear.